We offer Fully Automatic Mineral Water / packaged drinking water turn key base project with mineral water bottling machine, mineral water jar washing filling capping machine, mineral water pouch packing machine, mineral water cup filling sealing machine etc. Also we supply and install complete laboratory items as per IS 14543 and ISI consultancy. To meet divergent demands of the clients in an efficient manner; our organization is instrumental in providing a comprehensive assortment of Mineral Water Plant Turnkey Project. The given service is required by various industries for water purification. The service offered by us is rendered in compliance with the industrial norms and is highly appreciated for its optimum performance. We process a stringent quality check of our plants on different parameters before execution to ensure its flawlessness. To meet the variegated requirements of our clients, we are offering an excellent quality range of Automatic Mineral Water Plant. Various industries extensively demand the given plant for its efficient functioning, rigid construction, and reliable performance. It is available with us in different sizes and specifications. We provide a stringent quality check of our products on various parameters before delivery to ensure its flawlessness and long working life. Further, clients can get these at a reasonable cost. We are offering to our valued customers a supreme quality range of Turnkey Mineral water Project. This is widely used in apartments, bungalows and villas due to their compact space, aesthetic look and cost-efficiency. 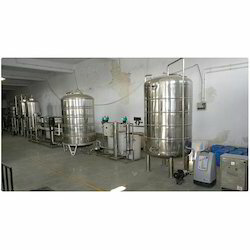 We offer Turnkey Mineral water Project at industry leading prices. 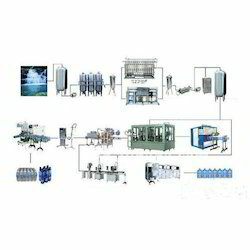 We manufacture manual as well Fully Automatic Bottle rinsing, filling and capping machine of capacity 24BPM to 120BPM and even higher capacity. We also supply online fully automatic labeling machine and Batch coding device to make Bottling unit fully automatic. 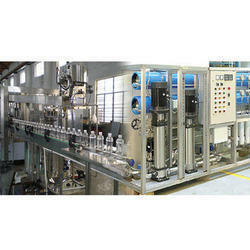 Looking for Turnkey Mineral Water Plant ?